Junior Clinics at Springfield Golf Resort in Chandler, AZ. In addition to individual lessons, I offer year round developmental golf programs for juniors to learn more about golf and themselves, improve their golf skills and learn how to PLAY the game of a lifetime - golf. See the Events Schedule for dates/times/prices/details. This program is designed for juniors (ages 4 – 15) who want to improve their golf skills. 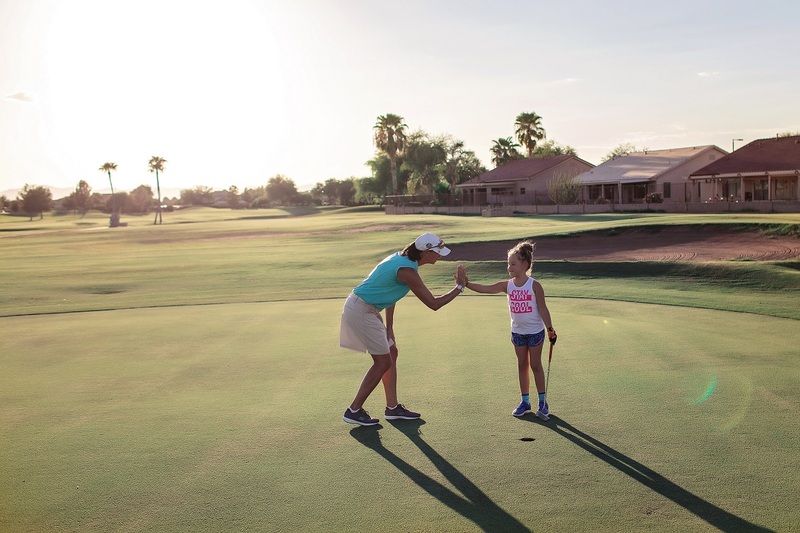 Each session covers two age appropriate skills topics such as the full swing, pitch shots, bunker shots, chip shots and putting through a process of modeling. Our priorities are Safety, Fun and learning. These clinics are open to both women & men and are held following the morning junior clinics so that juniors can continue to practice or enjoy breakfast on the patio while their parents learn. The topic varies by week based on the participant's interest. Class size is limited to the first 6 Adults to sign up. 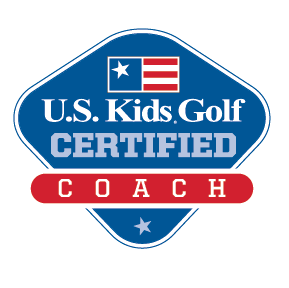 This is a unique program for Juniors (ages 7 -15) that provides the opportunity to get out and PLAY golf with other junior golfers AND a professional instructor. 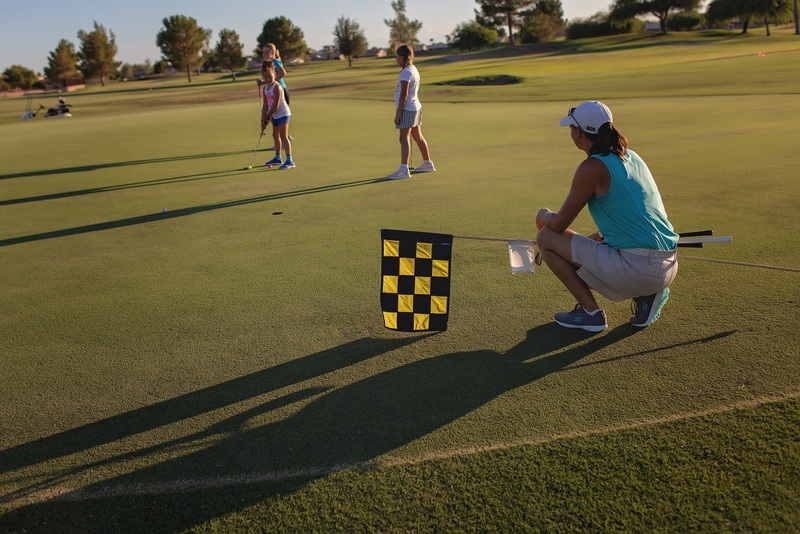 In addition to playing up to 6 holes of golf and having FUN, juniors will learn golf etiquette, sportsmanship, basic rules, playing strategies, respect for themselves, each other, the environment and more. As a certified U.S. Kids Coach, I am able to provide a special offer to my students that includes both a discount of 5% off your purchase plus FREE Home Delivery.